Necessary tool, or one more username and password to forget? The what, why, and how of bloglovin’. Have you noticed images like this in the sidebars of blogs you read and felt like you were missing something? Now you know what they’re about. While catching up with your favorite bloggers, you’ve probably seen an invitation to “follow me on bloglovin’!” in more than one sidebar. 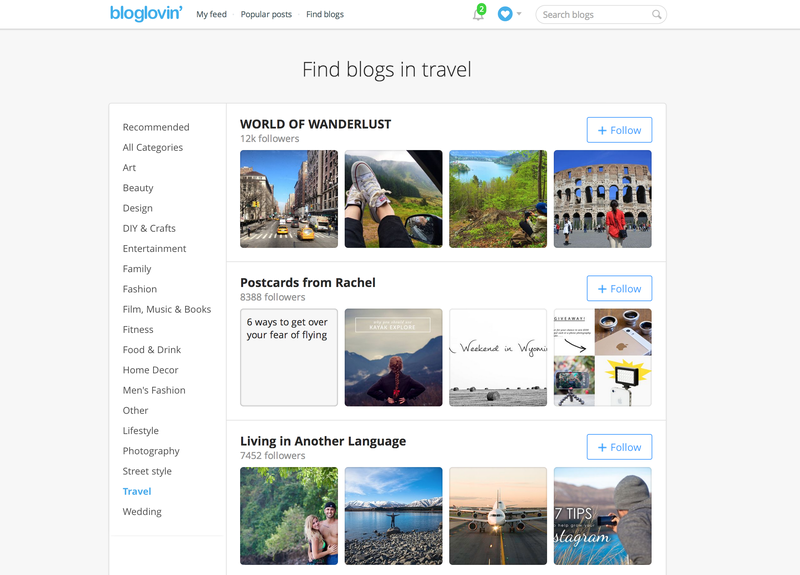 What is bloglovin’? Don’t you already follow the blog in your Reader? Do you really have to sign up for another online account? Let’s take a look at why lots of bloggers are signing on. 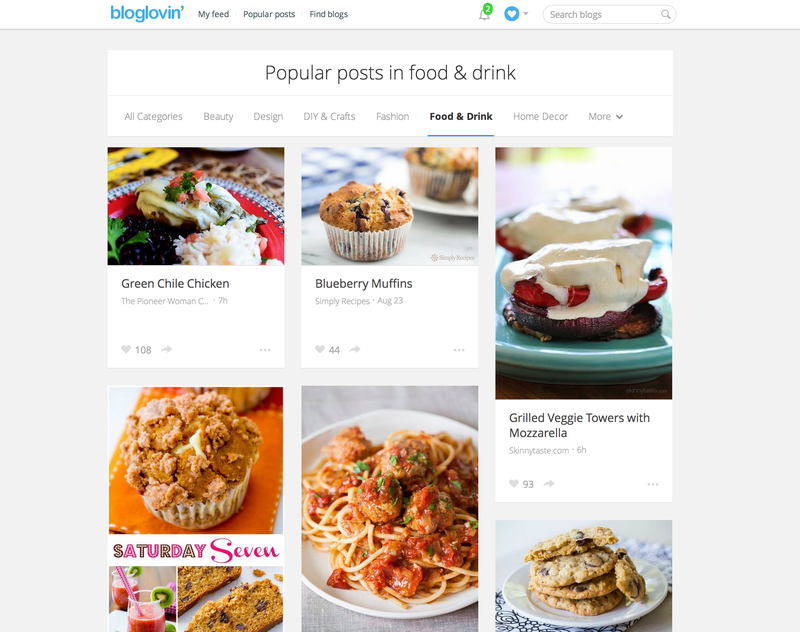 Bloglovin‘ is a tool for keeping up with blogs — a way to manage feeds. Lots of bloggers turned to it after the demise of Google Reader. When you create an account there, you can follow any blogger on any platform, whether or not they’re also signed up. Then, you can log in and see the latest posts from all the blogs you follow in one spot. There’s also an app, so you can catch up with your reading on the go. In these cases, I’m limited to blogs that are signed up with bloglovin’ (in their terminology, blogs that have been “claimed”), so I’m not exploring the whole world of blogs. Great… but can’t I just use the WordPress.com Reader? You can like and comment on WordPress.com blogs, and soon, you’ll be able to do that for self-hosted WordPress blogs too. You can follow anyone in the Reader, including non-WordPress.com blogs. 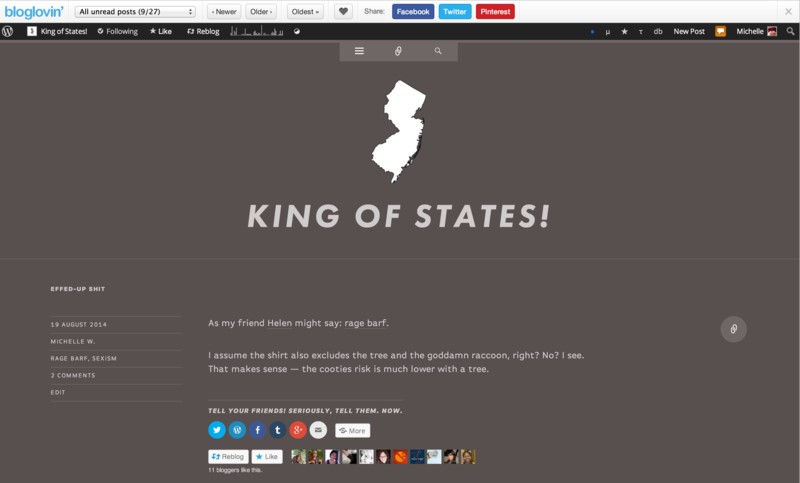 You can add any blog with a feed to your Reader — Blogger, Tumblr, whatever. You can browse any topic. You can also explore a curated collection of WordPress.com blogs in popular topics like photography, travel, politics, food, and more and read great posts on a range of topics on Discover. To follow blogs and keep track of unread posts. Bloglovin’ shows you what posts have been published since your last login, making your blog-reading more efficient — no more scrolling through a list of blogs, wondering where the new stuff starts. For a traffic boost. Shockingly, the whole world is not on WordPress.com. * Bloglovin’ users love blogging, and love exploring what bloggers have to say about the topics they care about. That is: it’s a community of potential new readers. “Claim” you blog, and it can appear in bloglovin’s topic and popular post pages. Want to give your posts visual punch, but aren’t a photographer or artists? There are plenty of places to find high-quality, free-to-use images. Bloglovin’ is a site full of people who want to find your blog. If they’re WordPress.com members, they might find you in the Reader organically — but if they’re not, bloglovin’ is a great way to get your posts in front of readers-to-be. Its highly visual, Pinterest-esque layout makes posts look extra-appealing and clickable. If you’re trying to grow an audience, creating a bloglovin’ account and claiming your blog is a free, low-hassle way to introduce your blog to a whole new group of fans. If you just want to use bloglovin’ to manage the blogs you follow, head over and register for an account. You can create a new account or log in with Facebook, and the site will walk your through adding blogs to its service. After you successfully claim your blog, you can delete the HTML if you’d like. Now, when you log in to bloglovin’ and head to “My Blogs,” you’ll be able to see stats on how many people are reading and following your blog via bloglovin’. You can choose to use bloglovin’s reader capacity in addition, or just claim your blog and let it ride. We also recommend that you spend a few minutes tweaking your profile and settings (also accessed via that little blue heart). Here, you’ll find tools to create a “Follow me on bloglovin'” badge for your blog, as well as all kinds of notification and email delivery settings. So what’s the real answer to our opening question: “do you really have to sign up for another online account?” The answer is (don’t hate me! ), “it depends.” WordPress.com, which most of you are already using, includes plenty of tools for finding, following, and promoting blogs. However, if you’re in serious audience-development mode, bloglovin’ is a low-effort way to expose your blog to a larger community. Thanks for the rundown! Very helpful! Thank you for breaking this down for all of us. I’ve always pondered the pros and cons. “…one more username and password to forget?” hahaha so great! So what’s the current waiting time for bloglovin’? Can’t remember how many months ago I registered. Doesn’t encourage me. I don’t think there’s a wait at this point — I signed up a few days ago to take some screenshots and had immediate access to all their tools. The layout of Bloglovin’ with the thumbnail picture is so pleasing to the eye and easy to use. Encouraged readers to explore and read. WP Reader has endless scrolls. Wonder if WP will ever consider going back to that multi-picture/blog layout that so many loved. I hope so too. Bloggers are always looking for more traffic which is awesome. I’ve been using Bloglovin’ for quite some time and I love it! It would be nice if wordpress would count the bloglovin and pinterest follower in the count of followers as wordpress already does for facebook, and twitter. I enjoyed reading this post! Thanks. So this post made me sign up for BlogLovin, I’d always been a bit confused about it so thanks for laying it out for me! Thanks for good information. Just signed up by mail, but are waiting for their confirming. Maybe if WP reader was a little more reliable I wouldn’t have tried this. I think Bloglovin’ is too cluttered, so now I’m on email notifications-only. I guess nothing is perfect though, right? Try Feedly.com instead. I find it to be a nice and clean format compared to other feed readers. Ok, so I signed up and “claimed” my blog. However, it is saying I have 0 followers when I actually have over 600… so I’m confused. Any ideas/suggestions? Yup — bloglovin’ has their own stats, separate from wp.com. I just signed up last week and I am loving the interface! * Yet. Bwahaha. My fave part of this post! Question: So what’s to prevent someone else from “claiming” your blog? Thanks Michelle….riveting, as always! I read that line and think that’s how only you (or anyone who can log in as you on your blog) can claim YOUR blog. Thanks for the explanations and run down. I may be “claiming” soon! The best feature of bloglovin’ IMO is their curated email containing the latest posts of all the bloggers I follow. I may not visit bloglovin’ daily, but I visit my email daily! Thank you! I had heard of it but was so confused! Any tips for using a simple “B” icon in WP’s social menu to link to Bloglovin? I’ve seen it on some WP blogs, but when I try to find the icon in Bloglovin, I can only find their chunky badges. Lots of folks make their own icons/badges for things like that — I don’t think bloglovin’ is typically included in the icon collections of themes that have social menus. Finding/saving an image you like (or creating your own) and then creating a custom image widget may be your best bet. Ooh, I didn’t know you could do that. Sounds like a challenge for me. Thank you. I JUST started using Bloglovin’ the other day. Mainly to boost my stats, which it hasn’t done yet, but it does help me follow others as well. I wasn’t even aware we could follow non-Wordpress blogs in our Reader here. I’m a new blogger and this sounds fantastic! Thanks for the breakdown! Im new to blogging, and I really only use wordpress. Is there still a benefit for me since I only follow one site? I’d focus on understanding all the things WordPress has to offer first. Then, if you want to branch out/want other tools, give it a try. Great news that WP.org blogs will soon get likes and comments on the Reader. When will this be available? Don’t have a date yet, but we’re actively working on it and we’ll definitely announce it when it happens.